As a leading provider of Property Management and Brokerage Services, we take pride in offering the best tenant/landlord services or personalized buying/selling relationship. We are dedicated to serving the needs of our customers and clients each and every day. Robin Tucker, REALTOR, joined his father in business in 1988, after working in public accounting. Robin was born and raised locally, here in Cedar Rapids. After graduation from high school, he left for Omaha to attend Creighton University. He meet his wife at Creighton. After working in public accounting, he and his young wife, accepted the opportunity to return to Cedar Rapids to join his father, in a couple of various businesses. I.L. 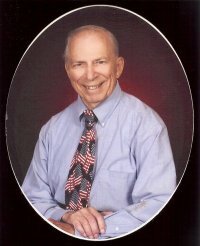 "Tommy" Tucker, REALTOR Emeritus began in our industry in 1955. He began Tommy Tucker Realty Co. in 1958. He served as our local association president in 1961 and as state president in 1968. He joined Rotary International in 1964 and was a member for 50+ years, becoming a Paul Harris Fellow. In 1969, he acquired a property management division. He was very active with the National and State associations. He served as a regional vice president of the National Association of Realtors. Working with others, he helped establish the real estate department at the University of Northern Iowa. A long-time University of Iowa athletic fan and supporter to the U of I.
Tommy and his wife, LaVerne, both attended Coe College. They meet there. Both were involved in Tommy Tucker Realty Co., as REALTORS. Robin joined his parents in business back in 1988, after spending nearly six years in the State of Nebraska with university and work in public accounting field. Robin is a third generation Rotarian and entrepreneur. Rotary International carries the motto, Service Above Self. Both Tommy and Robin have carried that philosophy into their real estate and business practices over the years. Robin began in real estate accounting, assisting his father's controller during his breaks during his college years. He replaced his father's controller in 1988, consolidating the controller duties between two company divisions and with a couple of other companies held by the family. Realtors® Judy Nicholls and LaVon Sayre have been affiliated with Tommy Tucker Realty Co. for over 30 years. They are also members of the CRAAR, IAR and NAR, which are the local, state and National. Licensed in the State of Iowa.